On Thursday, November 8th. 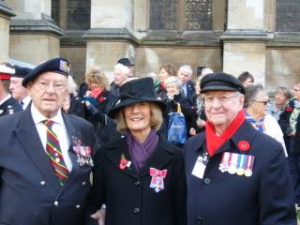 Vice Chairman Ian Stewart and Veteran Ken Hay attended the Spirit of Normandy Trust plot at the Field of Remembrance Westminster Abbey. Among the celebrities who stopped to visit the plot was Mrs. H. Jones, widow of the V.C. 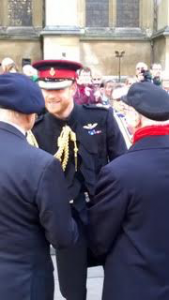 winner who was killed in battle on the Falklands and we were honoured to meet Prince Harry as he progressed round the Field.